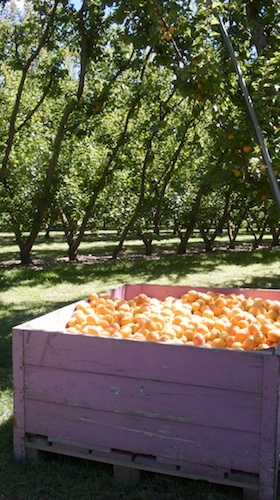 I spent last week scouting out local produce in Christchurch and beyond. I met some wonderful people: farmers raising ducks, organic chickens and pheasants; a goat cheese maker with a happy herd of goats and a great range of cheese, a walnut grower, a veggie grower and a traditional market gardener with glasshouses on the hill behind Lyttelton. I’m back at my desk in Wellington and I’ve been writing up my research notes wondering if those glasshouses are still standing. Most of the food heroes I met spoke of the tough trading conditions following the last quake; most of them had suffered damage to their homes. All were hopeful they’d been through the worst. 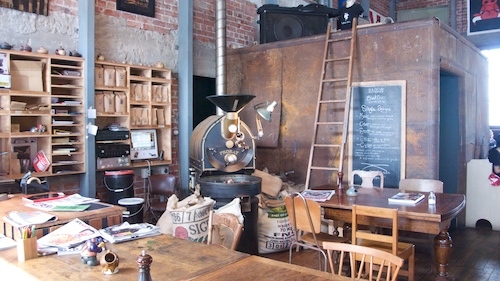 I found a wonderful café and coffee roaster in Lyttelton. The coffee was good and the staff were friendly. I ordered bacon and eggs and took a couple of photos before I left. Does anyone know if The Lyttelton Coffee Company survived the shaking that reportedly destroyed or damaged 60% of London St? This café was one of many Christchurch eateries profiled in the latest issue of Australian Gourmet Traveller. The upbeat feature by Kendall Hill is titled ‘Christchurch is Risen’. It’s heartbreaking. 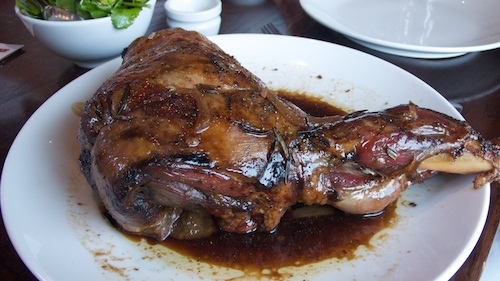 I’m still salivating at the memory of this slow-roasted lamb shoulder. It was served at Amisfield Winery on the edge of Lake Hayes and it arrived at the table with just a spoon and a fork – the only implements we needed to coax the meat off the bone. It was tender and succulent with a crispy thin layer of fat and a flavour that was deeper than spring lamb but stopped short of hogget. It was the highlight of my food scouting mission in Central Otago, not least because – surprise, surprise – the lamb was Merino. Merino is bred primarily for its wool but a smart Cardrona farmer has developed a Merino lamb that tastes terrific. As luck would have it, this was the very farmer I’d arranged to meet the following day. From the plate to the paddock, I found myself tracking my meal back to the source. 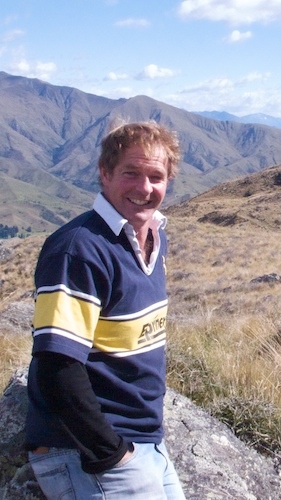 My carvery roast was raised by Ben Gordon at Avalon Station, south of Wanaka on the Cardrona road. His property extends from the valley flats to the heights of the Pisa Range. The sheep spend the summer on the tops, foraging amongst thorny scrub and tussock, nosing out the grass, clover and herbs that grow in between. I expected Ben to tell me that’s why they taste so good – thyme-grazed mountain lamb, anyone? – but in the meaty debate that’s breed versus feed, he comes out on the side of the breed. His own family always selected a Merino for the table, preferring the finer textured, sweeter-flavoured meat of the high-country sheep. But with less marbling than the Romney breeds, the leaner merino cuts can also be drier, which is why Ben crosses his Merino ewes with Suffolk. The Suffolk adds the fat which carries the flavour and makes the slow-roasted meat so succulent. After the breed, it’s the manner of feeding that makes all the difference. 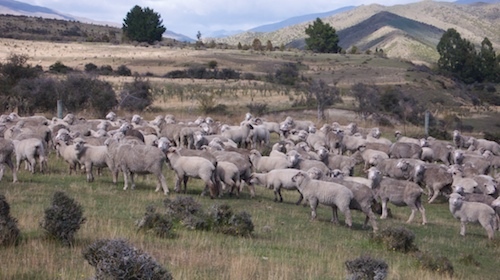 Farmers generally want to fatten their lambs quickly but up on the tops where the merinos graze at the rate of just one sheep per acre, they mature and develop flavour more slowly. The lambs are finished on the flats where the grass is more lush but it’s their life in the hills that builds up the muscle and gives them such a good start. Ben and his business partner Rob Ottrey have spent several years developing and now marketing their Cardrona Merino branded meat. They contract out the processing, specify the cuts and work closely with the chefs who are using their lamb. In other words they’re applying some artisan principles to what’s generally regarded as a commodity product. And guess what? You can taste the difference. 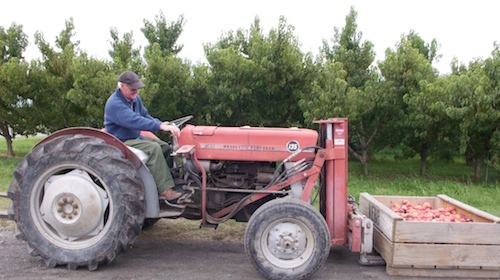 I’ve just spent a few days in Central Otago researching regional produce for Al Brown’s next TV series. 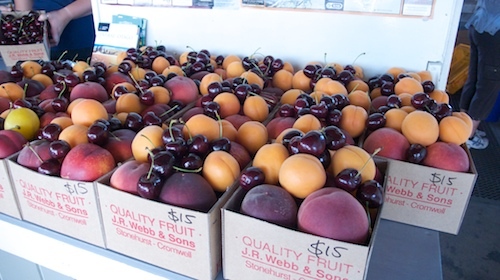 My timing was spot on – I arrived smack in the middle of the cherry/apricot/peach/nectarine season and embarked on a fruit crawl of the orchards and roadside stalls around Cromwell. Straight off the trees, everything tasted so much better than the stonefruit we get in the supermarkets in Wellington – especially the apricots. 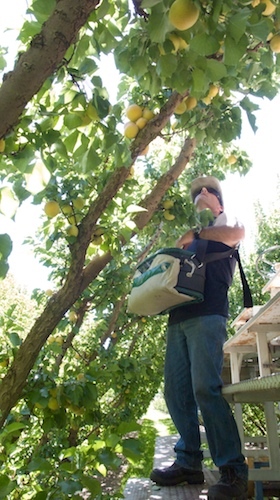 The orchardists I spoke to all recommended the moorpark variety as the best for eating fresh, dried, bottled or jammed. It’s the traditional Central Otago apricot but it has a short shelf-life and it’s not as good-looking as the newer ‘Clutha’ varieties developed at the (old) DSIR research facility in Clyde. I did a taste comparison: moorpark v CluthaGold. 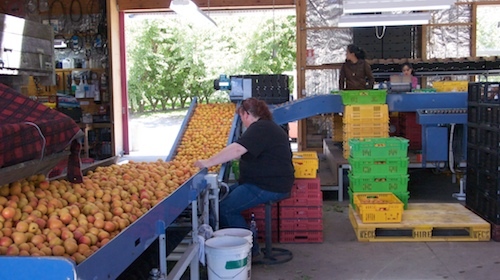 It was immediately obvious why the Otago locals seek out the moorpark – an intense sunny-flavoured, old-fashioned apricot. And no prizes for guessing which apricot the supermarkets prefer. CluthaGold with its firm flesh, flawless complexion and consistently rosy blush may win the beauty stakes but it’s an airhead of an apricot. It over-promises and under-delivers. I’m guessing it’s the new varieties that have put me off buying apricots. But I’m only guessing because where I shop apricots are never labelled according to variety. An apple can be a braeburn, a gala or a jazz; a pear can be a packham or a beurre bosc, but an apricot is just an apricot. If apricots were moorparks I’d start buying them again.